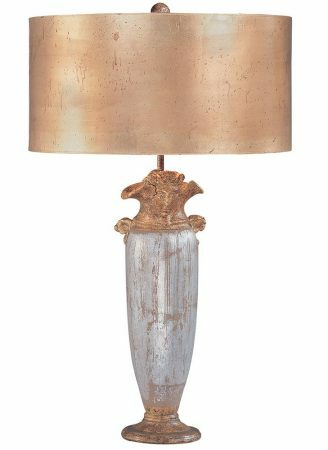 The Flambeau Bienville 1 light table lamp in silver and gold with shade features New Orleans style and classic Greek influences. Circular base and tall hand-sculpted urn body, with faux pouring spouts inset with a sculptured head. Supplied with an oversized 18″ gilded gold parchment drum shade. The base is handmade and the finish is hand applied. This classic table light features ancient Greek influences and timeless style. The designer, Benjamin Burts is inspired by neoclassic styles and works with clay in a very free spontaneous way. This design uses a unique surfacing technique after kiln firing and then the gold and silver colouring are applied, creating this classical table lamp. This flamboyant New Orleans style table lamp looks fantastic in a bedroom, living room or dining room. It stands 76cm tall and will make a statement wherever it is placed making the room as individual as you are. Supplied by Elstead Lighting and designed by Flambeau in New Orleans who offer unique and distinctive lighting collections. 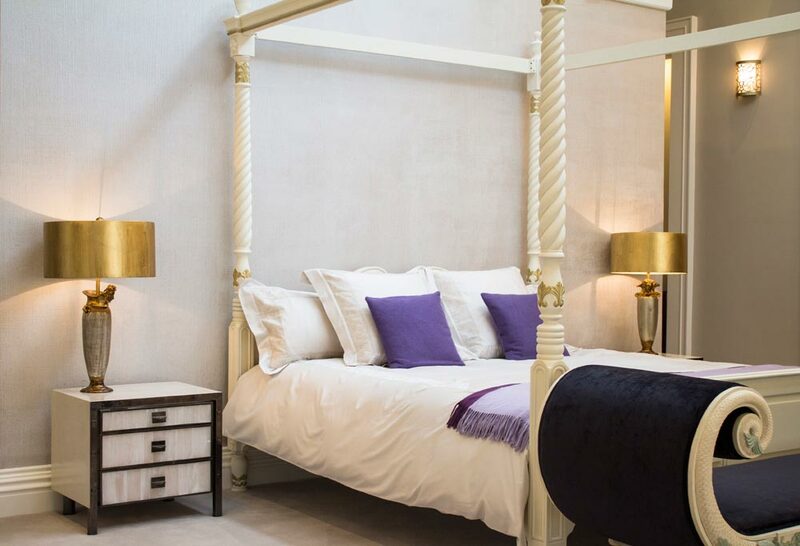 Working with specialist designers who model up their own original creations using distressed finishes of gold and silver leaf to create 21st century antiques like the Bienville 1 light table lamp in silver and gold with shade you see here.